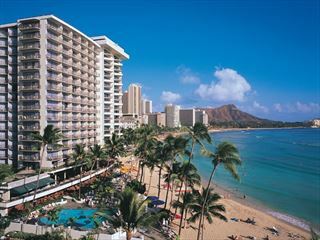 Begin on one of the world’s most iconic beaches – Waikiki Beach. Take a surf lesson, sip a Mai Tai cocktail, shop til you drop or just people-watch – it will be a great start to your Hawaiian experience. Then take the short flight to Hawaii Island, also known as Big Island, at place to marvel at the volcanoes and lava flows as well as relax by the beach, cycle or play golf. 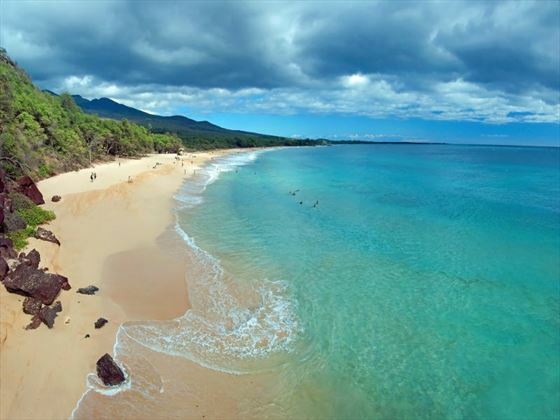 Next stop is Maui, with its unspoiled coastline and signature beach Kaanapali. Your final destination is the stunning island of Kauai, where you can admire rugged canyons, sheer cliffs and cascading waterfalls. 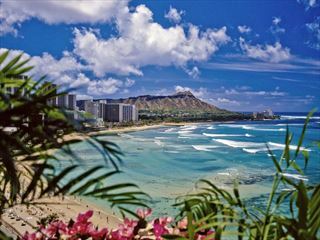 We have created this itinerary, to experience the best of Hawaii visiting four different islands over ten days. However if you want to spend more time in any particular place, or only visit two or three islands, then we can tailor the itinerary to your wishes. We have hand-picked four star hotels for this holiday, but if you would rather treat yourself to something more luxurious on one or more of the islands then we can choose different hotels to suit you. Fly to Honolulu on the island of Oahu. You may want to stopover en route, perhaps spending a few days in either New York or Los Angeles. 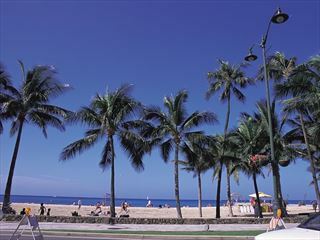 Spend three nights in Waikiki Beach, where you can surf, swim, sunbathe shop and enjoy the many bars & restaurants. Whilst on Oahu, take the opportunity to visit Pearl Harbour, where there are several fascinating museums and the battleship USS Missouri. You can also take a trip up to the north shore with its rugged coastline a beautiful contrast to the golden beaches of Waikiki. 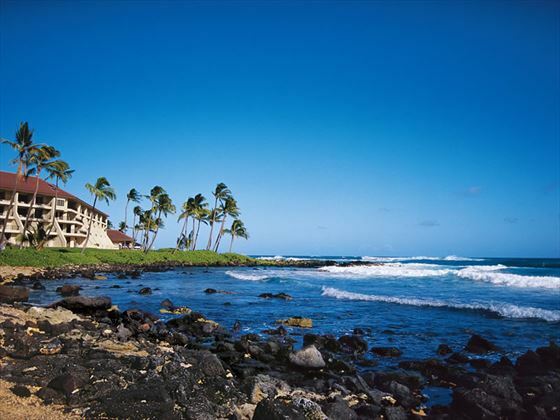 If you want to explore more, perhaps extend your holiday with a stay in the lovely Turtle Bay Resort. Fly to Hawaii Island for two nights, or Big Island as it is also known. An amazing island made up of five volcanoes – with two massive volcanoes dominating the landscape. Mauna Kea is actually the world’s tallest mountain from summit to base over 33,000 feet but much of this is under the ocean. Mauna Loa is the largest volcano on earth and still active – take a trip to view the live crater at sunset and visit the fascinating Jagger museum. 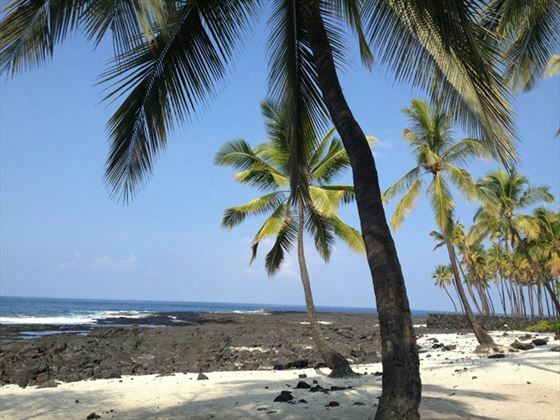 Over on the east coast are the beaches of Kailua and Kona, a haven for relaxing or enjoying snorkelling and other watersports. 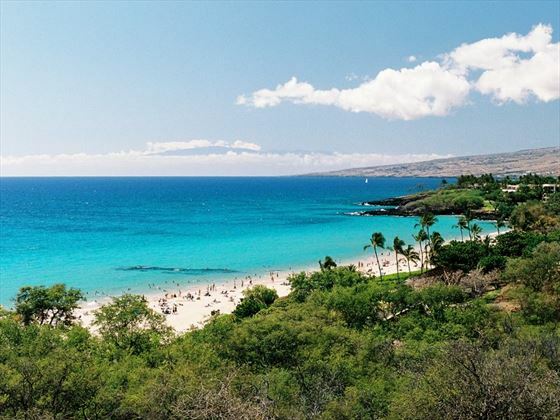 It’s just a short flight to the idyllic island of Maui, where you will spend three days on the golden sands of Kaanapali Beach. Here is a wonderful opportunity to learn about Hawaiian culture whilst relaxing in a beautiful location, learn how to make a lei (the flower garland), hula dancing and how to play the ukulele. There are also some beautiful state parks to visit, where you can hike or horse-ride. Your final island is the most beautiful and most verdant – Kauai, where you will see endless shades of green. You can explore by car but the best way to view this island is by helicopter to enjoy a bird’s eye view of the simply stunning Napali Coast and Waimea Canyon. Fly back to the UK via Honolulu. Perhaps extend your holiday with a few nights in the fabulous city of San Francisco, just ask for details. Located on Kalakaua Avenue, where you will find countless restaurants, bars and shops, and opposite iconic Waikiki Beach on the Hawaiian island of Oahu. Just steps away from the warm sands and rolling surf of Waikiki, this comfortable hotel really is in a great location. Guestrooms are spacious and well-designed, and you can choose from various views, from city to ocean. You could also choose an oceanfront room with a spa tub or perhaps upgrade to a suite. Within the hotel you will find "Duke's Waikiki" bar & restaurant - a legendary gathering place on the beachfront with live music. Set in a stunning location, atop an ancient lava flow cascading into the ocean, the Sheraton Kona Resort is a wonderful choice for a stay Hawaii’s Big Island. This modern hotel is set amongst lands that were once the birthplace and playgrounds of ancient kings. Whilst enjoying the comforts of a contemporary hotel, you can experience some authentic Hawaiian culture through a programme of events and activities such as a trip in a traditional sailing canoe and ukulele or hula lessons. There is also a weekly Luau - an evening of traditional Hawaiian singing, dancing and dinner. 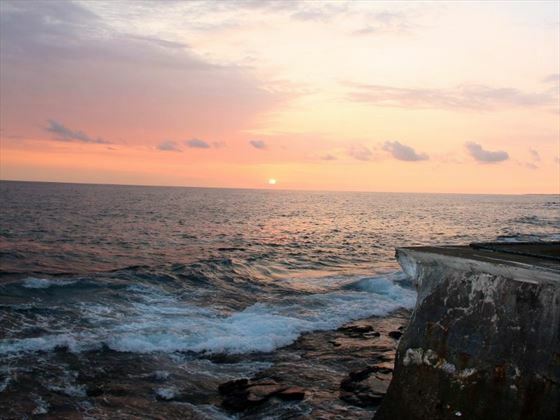 Seek Manta Rays whilst snorkelling, relax by the lovely freeform swimming pool, enjoy a rejuvenating treatment at the Ho'ola Spa or hire bikes to explore the surrounding area - there is something for everyone here. 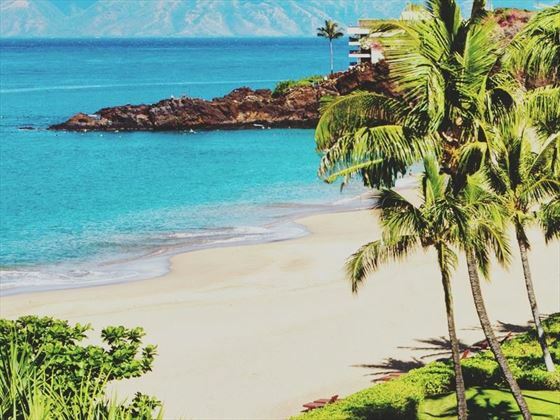 Set within 11 acres of verdant tropical gardens and nestled on the world-famous golden sands of Ka’anapali Beach, Kaanapali Beach Hotel offers a true insight into the vibrant Hawaiian lifestyle. With exotic, tiki-style décor, Hawaiian activities including lei making and hula dancing, traditional cuisine and even a lei welcoming ceremony, you’ll be immersed in Hawaii’s brilliant culture, offering a fantastic blend of relaxing on the beach and socialising with a cocktail. 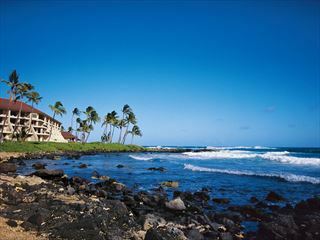 This is known as ‘Hawaii’s Most Hawaii Hotel’ for a reason. 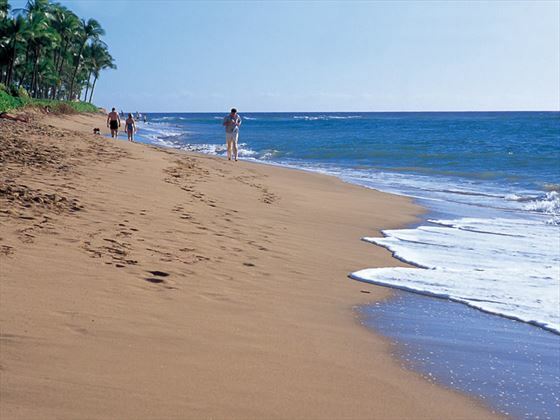 Whether you’re looking for a unique family holiday or a beachfront couple’s getaway, Kaanapali Beach Hotel will ensure that you experience their values of ho’okipa (hospitality), po’okela (excellence), and kokua (helpfulness). 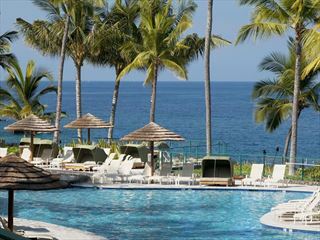 Ideally located on Kauai’s famous Poipu Beach, this low-rise hotel nestles in the lush greenery of Kauai island. Guestrooms are comfortable and situated in several different buildings, none higher than a palm tree, spread through the resort. Either choose a peaceful garden view room, or opt to watch the sunrise daily from a guestroom in the Beach or Ocean Wing. The RumFire restaurant is highly regarded, offering a wide choice of Hawaiian and International dishes, with many ingredients sourced locally, and offers beautiful views over the bay.